Color can be a mystery. Sometimes the mixtures go well, and sometimes they just don’t seem to go right no matter what you do. How do you highlight red, or shadow yellow? Why don’t certain colors get dark without looking murky? Why do all the greens in this landscape look the same, even if I used different mixtures? How many colors do I really need on my palette? How do I even lay out my palette? And, what do I do with this big pile of mud that eats everything I put into it and is taking over all my mixing space? The ultimate goal of this workshop is to tackle those questions and more, helping you to eliminate frustrations and feel more empowered about selecting and controlling color! We will start with the absolute basics, working upward from a very simple to a more expanded palette. If you’ve ever tried to learn color theory in the past and found it dry, fear not! Color is fascinating, and everything we do will relate to something you can use in your own studio. Like musical scales, I’ll lay a foundation to work outward from so you can build a symphony of color. 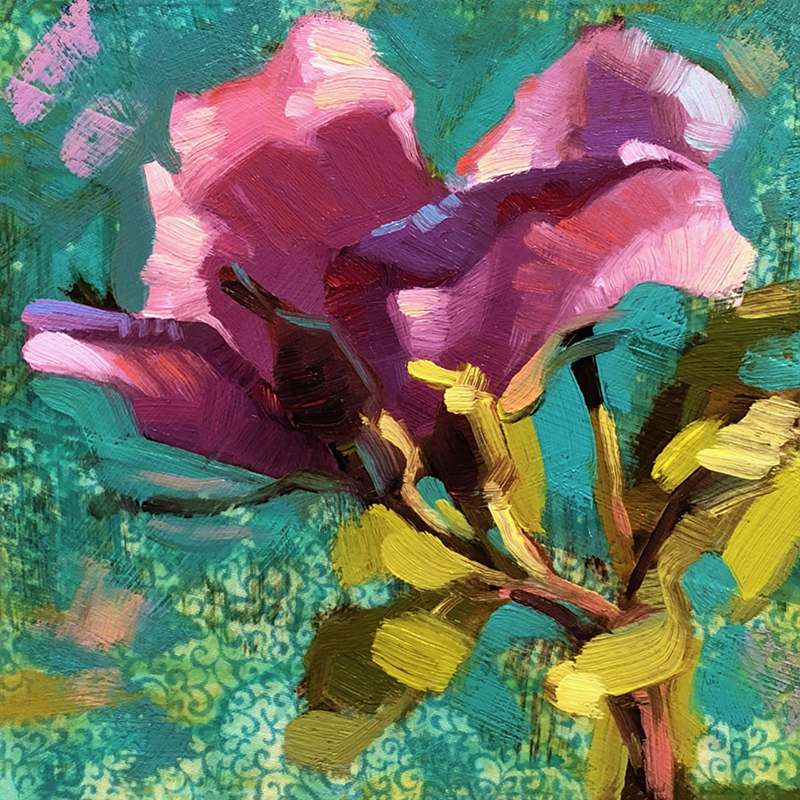 We’ll cover how to see, interpret, mix, control, and compose color. We will talk about tricky colors, such as saturated reds and the mystery of greens. 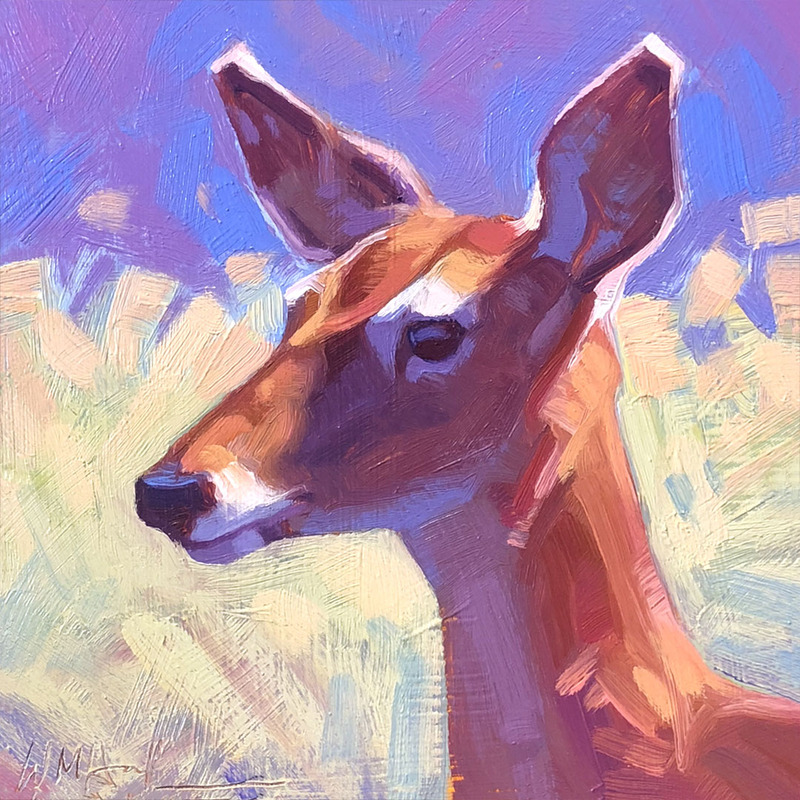 We’ll go over how important value is to color, and talk about how to manage intensities in a painting. We’ll discover the beauty in neutrals, and how to compose mood and atmosphere. 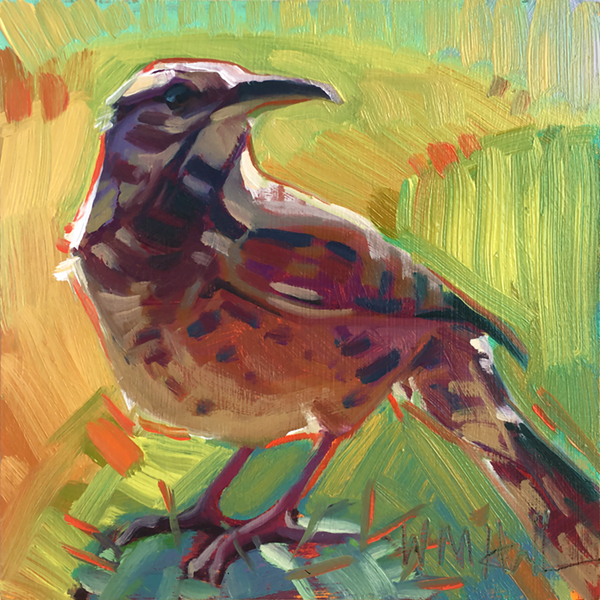 Each day will be a combination of demonstration, in-class painting, and group review. In addition to mixing exercises to demonstrate concepts, we will work from life to allow us to observe color without the influence of a camera lens. No matter what your preferred subject is, all of the principles of painting from life can be applied to portrait, animals, landscape, etc! As we work, I will challenge students at their skill level. If you have never held a brush before, this is an excellent place to begin! If you are an experienced painter, you will discover new things about color while eliminating old frustrations. 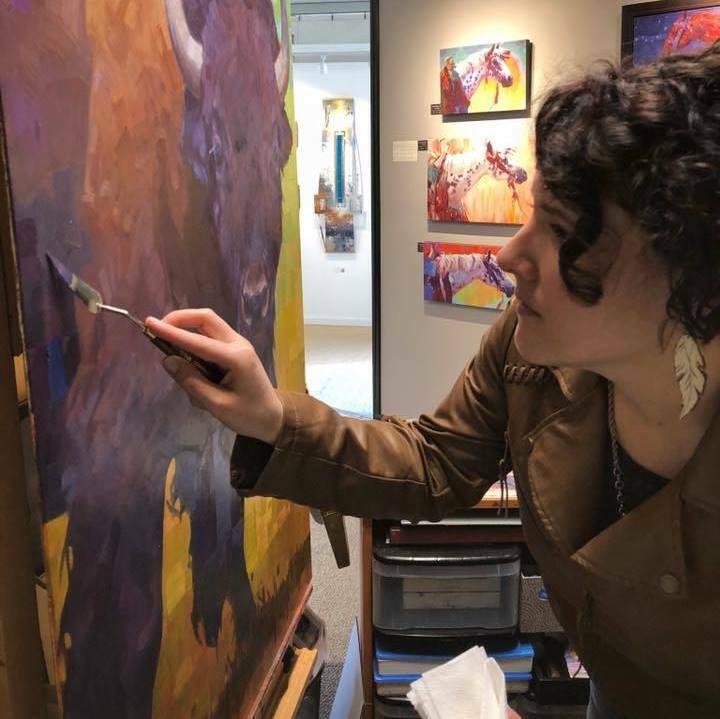 I will also cover important technical aspects of oil painting such as brush and knife handling, palette organization, and composition and design. Workshop tuition can be paid all at once, or half now and half by July 28th. You can register online by clicking the button below, with the option of paying either by credit card or check. If you have taken a workshop with myself or through Cobalt Moose with Terry Hall and I before, please contact me for an Alumni Discount! I am fascinated by color and I have been studying it extensively for almost a decade. I have compiled information from multiple schools of thought on color, including impressionism, illustration, modern art, even psychology and chemistry. One thing I keep finding is that all application of color comes down to a hub of fundamentals that don’t change, no matter what the end result is. I am always looking for new information and new ways to share what I’m discovering, and I can’t wait to share it with you!